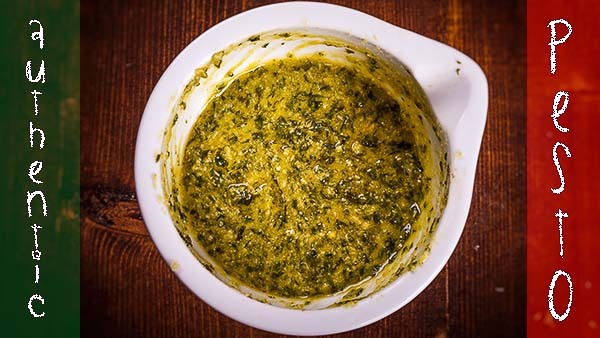 How to make authentic basil pesto the traditional way with a mortar and pestle. The one done by Italian grandmothers as once upon a time. I tried both ways with and without mortar & pestle. 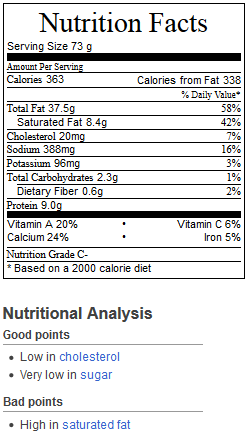 NOT to say that a food blender doesn’t make it good, it does so well that I often do. But sometimes it’s just a matter of love for my nonna. I simply remember her doing it, and like her I don’t process food much. If there’s a way to manage it by hands I will do so, or just with a mortar & pestle as once upon a time in case of a nice basil pesto. I try to go that way and keep up the authentic traditional taste. Start pounding the garlic cloves with a pinch of salt. Add an handful of basil leaves, then a few pine nuts. Begin adding a spoon of Parmigiano and one of pecorino cheese. Pour a little stream of extra-virgin olive oil and keep pounding. Repeat this process until you finish all the ingredients. I fully understand because this is much more work to make pesto and if you don't have much time go for the food processor method. If you want you can cover the pesto with a thin film of oil and keep refrigerated for a few days. You can even frozen basil pesto inside a food container for much longer time as I sometimes do in summer. I guarantee you that the advantage of using the method with mortar and pestle is that you'll produce a pesto with a full basil flavor. The basil must be broken down totally to get the full basil flavor of pesto made in a mortar. But you must believe me, it's worth it! Nowadays many go the easy way with a modern food processor or a blender. More practical and even used among authentic purists pesto lovers. Three pulses and you have: "Pesto!". 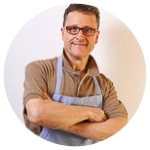 As you might had seen over my other Italian recipes, I don’t use much cooking tools even though my wife has a food processor that sometimes I do use. 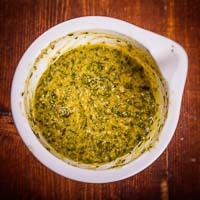 I made a superb arugula pesto appetizer with a food processor in just a few minutes, and other recipes as well, especially when I'm in hurry as most of us are today. So, go for a blender or a food processor when making pesto, I wont say absolutly nothing. But, but when it comes to basil, then make a better choice and buy it fresh if you don't have a vegetable garden and planted your own basil. 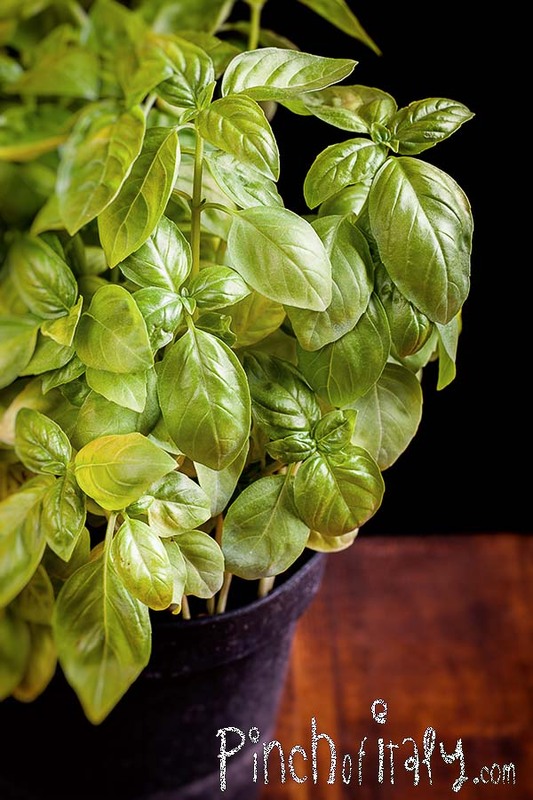 With a whole pot of fresh basil like the one above you can have many leaves to make enough basil pesto for about 2 servings, that's an excellent main course. It's traditionally served with trofie, but spaghetti or alternatively even homemade orecchiette or homemade gnocchi go either well.